What do a former biomedical engineer, lawyer, software engineer, and 2 IT professionals have in common? They have all transitioned from their previous careers into social impact in order to become founders and founding members of their respective organizations. As a part of our Social Innovation Management Program, Fellows spend a day visiting a curated set of diverse social impact organizations in the community. Our Fellows recently visited Rise Legs, Project Defy, Janaagraha, Akirachix and Instituto Pro Saber. Arun Cherian was an engineer in the US in the process of completing his PhD when he returned to India for his sister’s wedding. 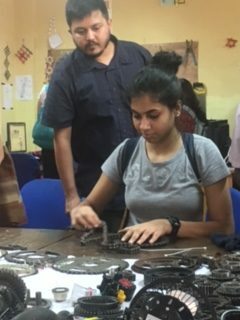 He was captivated by the durability and flexibility of a specific type of cane wood indigenous to southern India and began testing its feasibility for usage in prosthetics. Eventually, he decided to forego his PhD all together and Rise Legs was born. Typically, the cost of a prosthetic leg ranges from $1500 to $50,000 USD. 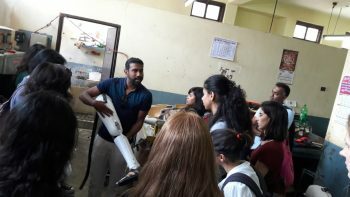 However, Arun developed a product which is lighter and more resilient than a traditional prosthetic leg for only $250. Recently, he has begun allowing artists to create art out of the leftover cane wood, with the proceeds going towards subsidizing the patients’ costs. Abhijit Sinha had moved into a village when a group of children began playing with his phone. Despite never having used a smartphone, they were able to beat his score on the game Temple Run in a matter of days. This got Abhijit thinking about the need to reclaim the meaning of education and laid the foundation for the creation of Project Defy. The basic tenets of their approach are “learning happens naturally” and “information is available freely.” They have created their own learning centers called “nooks” where members of the community are able to come and create freely through self-learning. Founded by 4 women in 2010, AkiraChix is a not for profit organization that aims to empower generations of women to be creators, drivers, leaders, and decision-makers in the IT industry. One of the founders, Marie Githinji, also faced barriers in IT, as the advice was to pursue a career that was more favorable towards women. Social Innovators come from diverse backgrounds. Whether you are an engineer or someone who has been working in the social sector for over 20 years, there is always room for growth, innovation and the creation of a more purpose driven economy. The second largest favela in São Paulo is Paraisópolis, with an estimated population of 100,000 people. With 15 years of experience, 175 students per year and 15,000 books in their library, the core program of the NGO Instituto Pro Saber is the Read and Play Program which engages children and their parents on playing and gives them access to the books in the library. This helps the students develop their communication, language skills, and self esteem. A psychologist by training, Maria Cecila Lins started the organization after teaching in private schools in Brazil. She was also a Fellow in Amani Institute’s Social Innovation Management Program in Brazil. Would you like to develop your career in social impact? 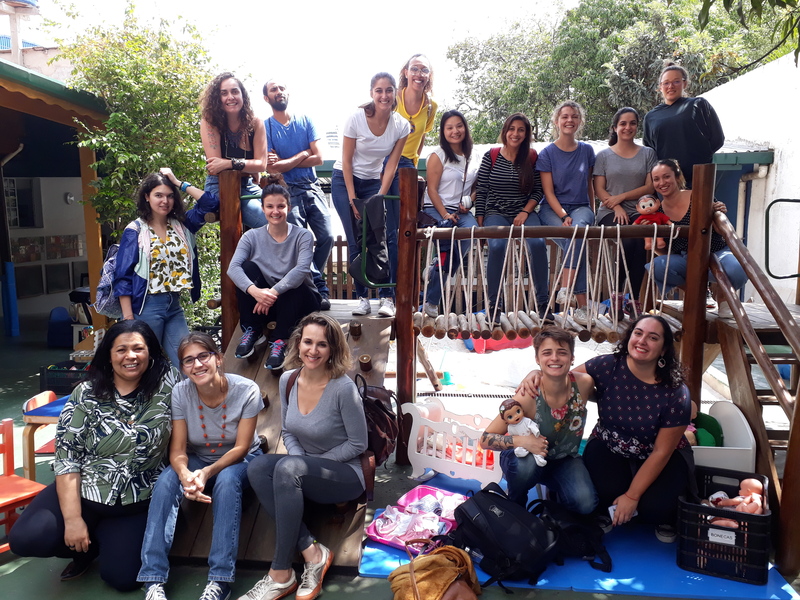 Apply to join our Social Innovation Management Program, which is a 9 month Post Graduate Program with an immersion phase in Bengaluru, India, Sao Paulo, Brazil or Nairobi, Kenya. Join our tribe of over 370 Social Innovators from 52 different countries! Check out our application here.